Are you interested in learning more about the role of our University of Illinois museums? 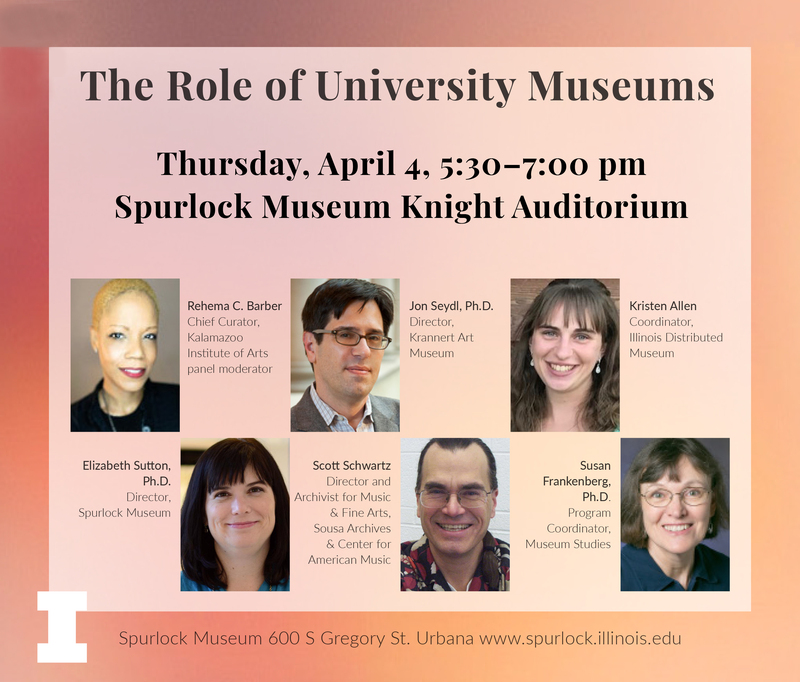 Join campus museum leaders at the Spurlock Museum Knight Auditorium in an informal conversation as they examine current museum topics and trends, and discuss the role of the university museum on campus and in the community. For further information about this panel discussion contact Monica Scott, Public Education and Volunteer Coordinator, at either 217-300-6213 or monicams@illinois.edu.